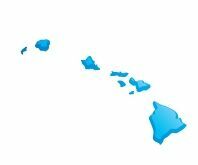 The provisions of the Hawaii statutes that permit the filing of mechanics liens and materialmen's liens can be found in Hawaii's Property Lien Law, Hawaii Code § 507-41 et. seq. The full text the Hawaii Mechanics Lien Law is provided below, and has been updated as of 2011. To see a quick synopsis of the most important provisions, take a look at our Hawaii Frequently Asked Questions page. “Furnishing of materials” includes supplying of: materials incorporated in the improvement or substantially consumed in construction operations or specially fabricated for incorporation in the improvement; building materials used during construction but not remaining in the improvement, diminished by the salvage value of the materials; transportation to bring the materials to the site of the improvement; tools, appliances, or machinery (but not including hand tools), used during the construction but not in excess of the reasonable rental value for the period of actual use. The delivery of materials to the site of the improvement or the delivery of materials other than to the site of the improvement, but upon the written statement by the general contractor or the contractor’s agents that the materials are for a particular improvement, shall be prima facie evidence of incorporation of the materials in the improvement. “General contractor” means a person who enters into a contract with the owner for the improvement of real property. “Improvement” includes the construction, repair, alteration of or addition to any building, structure, road, utility, railroad, or other undertaking or appurtenances thereto, and includes any building, construction, erection, demolition, excavation, grading, paving, filling in, landscaping, seeding, sodding, and planting, or any part thereof existing, built, erected, placed, made, or done on real property, or removed therefrom, for its benefit. “Labor” includes professional services rendered in furnishing the plans for or in the supervision of the improvement. “Lien” means the lien provided in section 507-42. “Owner” means the owner of the real property or of any interest therein who enters into a contract for the improvement thereof and who may be the owner in fee of the real property or of a lesser estate therein, the lessee for a term of years therein, the person having any right, title, or interest in the real property which may be sold under legal process, or a vendee in possession under a contract for the purchase of the real property or of any such right, title or interest therein. “Person” includes natural persons, partnerships, corporations, firms, unincorporated associations, joint ventures, and any other party recognized at law as a person. “Visible commencement of operations” means the first actual work of improvement as part of a continuous operation, or the first delivery to the site of materials to be used as part of a continuous operation in the improvement, of such manifest and substantial character as to notify interested persons that the real property is being improved or is about to be improved. Any person or association of persons furnishing labor or material in the improvement of real property shall have a lien upon the improvement as well as upon the interest of the owner of the improvement in the real property upon which the same is situated, or for the benefit of which the same was constructed, for the price agreed to be paid (if the price does not exceed the value of the labor and materials), or if the price exceeds the value thereof or if no price is agreed upon by the contracting parties, for the fair and reasonable value of all labor and materials covered by their contract, express or implied. Where the terms of a lease, contract of sale, or instrument creating a life tenancy require the improvement of the real property, the interest of the lessor, vendor, or remainderman in the improvement and the land upon which the same is situated shall likewise be subject to the lien, and any provision for forfeiture or other penalty against the lessee, vendee, or life tenant in case of the filing of a mechanic’s or materialman’s lien or actions to enforce the same, shall not affect the rights of lienors. (a) Requirements. Any person claiming a lien shall apply therefor to the circuit court of the circuit where the property is situated. Such “Application For A Lien” shall be accompanied by a written “Notice Of Lien” setting forth the alleged facts by virtue of which the person claims a lien. A copy of the Application and Notice shall be served in the manner prescribed by law for service of summons upon the owner of the property and any person with an interest therein and upon the party or parties who contracted for the improvements if other than the owner of the property or any person with an interest therein. If any person entitled to notice cannot be served as herein provided, notice may be given the person by posting the same on the improvement. The Application shall set forth the amount of the claim, the labor or material furnished, a description of the property sufficient to identify the same, and any other matter necessary to a clear understanding of the claim. If the claim has been assigned, the name of the assignor shall be stated. The Application shall specify the names of the parties who contracted for the improvement, the name of the general contractor and the names of the owners of the property and any person with an interest therein. The Application may (but need not) specify the names of the mortgagees or other encumbrancers of the property, if any, and the name of the surety of the general contractor, if any. The Application and Notice shall be returnable not less than three nor more than ten days after service. On the return day, a hearing shall be held by the court to determine whether probable cause exists to permit the lien to attach to the property. Any person to whom notice is required to be given shall be permitted to offer testimony and documentary evidence on the issue of whether probable cause exists to permit the lien to attach. If the person who contracted for the improvement from which the requested lien arises claims a set-off against the lienor or if any person to whom notice is required to be given otherwise disputes the amount of the requested lien, the court shall hear and receive all admissible evidence offered and shall only permit the attachment of a lien in the net amount which the court determines is the reasonable probable outcome of any such dispute. The return day hearing may be continued at the order of the court so that the entire controversy need not be determined on the originally scheduled return day. The lien shall not attach to the property until the court finds probable cause exists and so orders. No such order shall be entered before the Application and Notice have been served on the party contracting for the improvement, the general contractor and the owner of the property, and they were given an opportunity to appear at the hearing. (b) Time for filing. The Application and Notice shall be filed not later than forty-five days after the date of completion of the improvement against which it is filed. Where title to the property involved, or any portion thereof, is registered in the land court and the lien is not claimed solely against the lessees’ interest in one or more leasehold time share interests as described in section 501-20, it shall be incumbent upon the lienor to file a certified copy of the Order Directing Lien To Attach in the office of the assistant registrar of the land court within seven days after the entry thereof in order to preserve the lienor’s rights against subsequent encumbrancers and purchasers of the property. (c) Joint owner. If the fee title to the land involved is held in joint or common ownership or as an estate by the entirety, service upon one of the owners of the Application and Notice in accordance with this section shall be deemed service upon all of the owners. Likewise, if the parties who contracted for the improvement, if other than the owner of fee title to the property involved, hold their interest in the premises in joint or common ownership, or as an estate by the entirety, service upon one of the parties of the Application and Notice in accordance with this section shall be deemed service upon all of the parties. (d) Owner acting through attorney-in-fact. In cases where materials have been furnished or labor was performed at the request, or upon the order, of a person acting under a duly executed and acknowledged power of attorney from the owner and (1) the power of attorney has not been revoked, or (2) the power of attorney has been revoked subsequent to the furnishing of materials and labor upon request or order and the owner cannot be found within the State, service of the Application and Notice upon the person acting under the power of attorney shall be deemed service upon the owner. (e) Duration of lien. The lien shall expire three months after the entry of the Order Directing Lien to Attach unless proceedings are commenced within that time to collect the amount due thereon by enforcing the same. (f) Date of completion, notice of. The term “date of completion” as used in this section means the time when the owner or the general contractor for the improvement completes the publication of a notice that the improvement has been completed or has been abandoned and an affidavit of the publication, together with a copy of the notice has been filed in the office of the clerk of the circuit court where the property involved is situated; provided that notice of completion shall not be effective for any purpose unless prior to the notice there has been substantial completion of the improvement or the improvement has been actually abandoned; and provided further that the notice shall not be published by the contractor until after the contractor has first made written demand upon the owner to publish the notice and the owner has failed to publish the notice within five days from the date of the demand. The publication of the notice by the contractor or the owner shall not be construed as an admission by either that the improvement has been satisfactorily completed. The notice required herein shall be published twice, seven days apart, in a newspaper of general circulation, printed and published in the county in which the property involved is situated, and the publishing newspaper shall promptly file the affidavit of publication above mentioned in the office of the clerk. (g) Failure to file or publish notice. If a valid notice of completion is not published and filed within one year after the actual completion or abandonment of the improvement the “date of completion” shall be deemed to be one year after actual completion or abandonment. The clerks at the circuit courts shall keep in their respective offices a book called “Notice of completion record” in which shall be entered a memorandum of each notice of completion filed and the date of filing, arranged alphabetically in the names of the owners. There shall also be kept a “mechanics’ lien record” in which a memorandum of each Application and Notice filed shall be entered, arranged alphabetically in the names of the claimants and showing the amount of the lien or claim, the date of filing the Application and Notice, the date of the entry of the Order Directing Lien To Attach, the date of withdrawal, discharge or cancellation of the Application and Notice or of a lien which has been directed to attach, and any other matters deemed necessary. Any mechanics’ and materialmen’s lien may be discharged at any time by the owner, lessee, principal contractor or intermediate subcontractor filing with the clerk of the circuit court of the county in which the property is located or with the assistant registrar of the land court (if registered land is affected except when the lien attaches solely to the interest of the lessees in one or more leasehold time share interests as described in section 501-20), cash or a bond for twice the amount of the sum for which the claim for the lien is filed, conditioned for the payment of any sum for which the claimant may obtain judgment upon the claimant’s claim. The lien shall relate to and take effect from the time of the visible commencement of operations for the improvement; it shall rank equally in priority subject to the provisos hereinafter contained with all other mechanics’ and materialmen’s liens and shall have priority over all other liens of any nature, except liens in favor of any branch of the government and mortgages, liens or judgments recorded or filed prior to the time of the visible commencement of operation; provided that all liens for wages for labor performed in the completion of the improvement, but not exceeding $300 for each claimant, shall have priority as a class over all other mechanics’ and materialmen’s liens where claims are filed by: (1) The person who actually performed the labor; (2) The person’s legal representative in the event of death or incapacity; or (3) The director of labor and industrial relations pursuant to chapter 371; and provided further that where a mortgage is recorded prior to the date of completion, and all or a portion of the money advanced under and secured by the mortgage is thereafter used for the purpose of paying for the improvement, the mortgagee shall be entitled, to the extent of the payments, to priority over liens of mechanics and materialmen, but no such priority shall be allowed unless the mortgage recites that the purpose of the mortgage is to secure the moneys advanced for the purpose of paying for the improvement in whole or in part. Payments made in good faith to the general contractor for such purposes shall be presumed to have been used for the purpose of paying for the improvement. Whenever the lien or claim of lien herein provided is satisfied (other than by the limitations expressed in section 507-43), a written notice thereof shall, at the expense of the lienee, be filed with the clerk of the circuit court, which shall be noted in the mechanics’ lien record, and if title to the land involved is registered in the land court and the lien did not attach solely to the interest of the lessee in one or more leasehold time share interests, it shall also be filed in the office of the assistant registrar of the court. After demand and refusal of the amount due or upon neglect to pay same upon demand, the lien may be enforced by action filed in the circuit court of the circuit in which the property is situated. The demand may be included in the Application and Notice and when so included it shall not be necessary to make separate demand upon any other person. The complaint, in addition to setting forth a claim in the nature of assumpsit, may pray for the foreclosure of the lien as to which notice has been filed and may pray for any incidental relief according to the usual practice of courts of equity and according to this section in enlargement thereof. The owner or the owner’s assigns on whose property the lien has attached may file a third-party action against a licensed contractor whom the owner has paid for improvements as provided for in section 444-28(g). All proceedings concerning the same improvement shall, unless good reason otherwise appears, be consolidated for trial and the court may order publication of notice of the pendency of the action. Any person having or claiming an interest in any such proceeding or in the property, including other claimants, lienors, encumbrancers, sureties, indemnitors and the contractors license board may be joined as parties, may be interpleaded or may be permitted to intervene, under such orders as the court may enter. Interlocutory and final decrees for the foreclosure of the liens, for deficiency judgments, and relief against the parties liable therefor, and fixing the priority of liens between the mechanics and materialmen as a group and other parties having liens against or interests in the property shall be made and entered as near as may be in accordance with the practice on foreclosure of mortgages. If the property or proceeds realized upon the foreclosure sale are insufficient to satisfy all mechanic’s and materialmen’s liens filed against the same, the property or proceeds shall, after satisfaction of liens for wages for labor entitled to priority under section 507-46, be divided pro rata among the liens according to the principal amounts of the liens, without regard to the order or priority in which the respective Applications and Notices have been filed or the respective actions or interventions commenced. The court having jurisdiction of the action to foreclose the lien shall have all of the powers pertaining to courts of equity, and in addition may direct the issuance of a writ of attachment or execution upon the motion of any party against the property of any other party, in the same manner as is provided in chapter 651 provided that the writ shall only issue where the claim upon which the motion therefor is based is upon a contract, express or implied, between the parties. In addition to costs of the action the court may allow any fee or fees for legal services rendered by the attorneys for any of the parties, and apportion the same as costs for payment by and between the parties or any of them, all as to the court seems equitable in the light of the services performed and the benefits derived therefrom by the parties respectively. Whenever the work or material for which a lien is filed is furnished to any contractor for use as set forth in section 507-42, the owner may retain from the amount payable to the contractor sufficient to cover the amount due or to become due to the person or persons who filed the lien. 1. Names of partners, co-venturers, etc. (b) Anything contained in this chapter to the contrary notwithstanding, no general contractor as defined in this chapter or the general contractor’s subcontractor or the subcontractor’s subcontractor who is required to be licensed pursuant to chapter 444 shall have lien rights unless the contractor was licensed pursuant to chapter 444 when the improvements to the real property were made or performed, and no subcontractor or subcontractor’s subcontractor so licensed shall have lien rights if the work was subcontracted to them by a general contractor as defined in this chapter or the general contractor’s subcontractor who was required to be licensed but was not licensed pursuant to chapter 444.